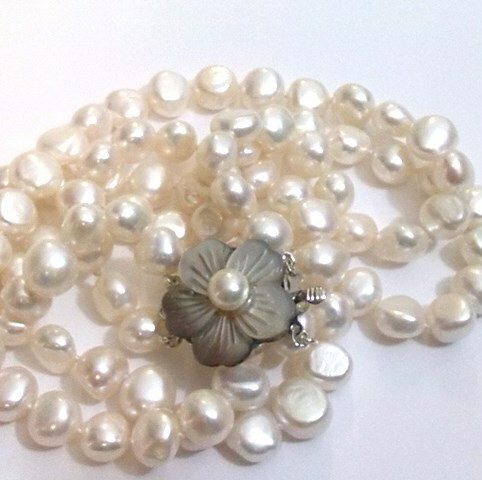 Baroque* pearls are great fun and great value! 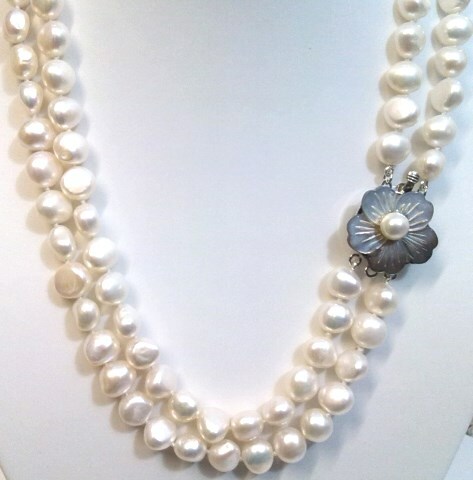 This two-strand necklace of medium-sized 8-9mm white pearls features a carved and polished sea-shell clasp which can be worn in any position. 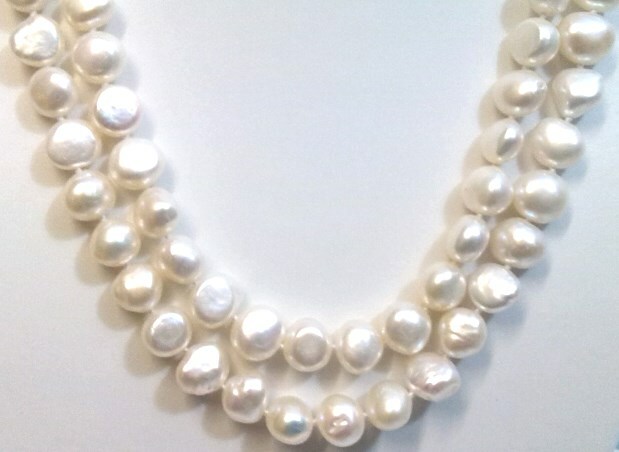 The shorter strand is 17 inches and the longer 18 inches. The price includes a pretty and practical purse and free standard delivery to any address within the UK. 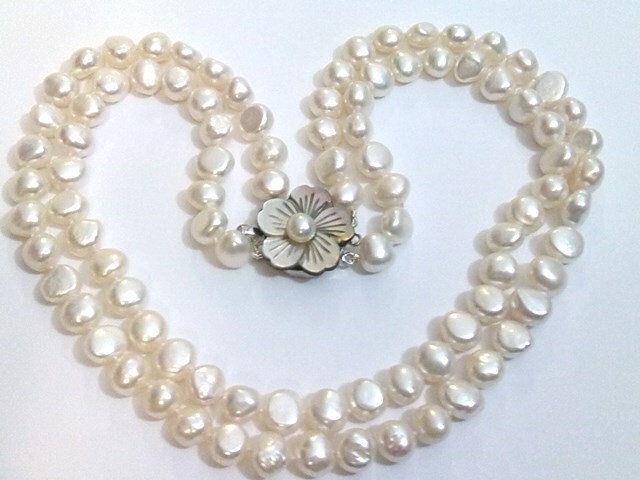 *The word baroque is used by jewellers to describe a pearl or gemstone that is asymmetrical and irregularly-shaped.